Reputation management software today: In a world where information travels faster than ever before, companies and brands need reputation management tools that provide real-time awareness of the opinions, trends and events that can impact the perception and performance of your brand. Reputation management software powered by Cogito helps companies leverage all of the information and content produced on a daily basis to protect themselves from reputational risks and shape their global reputation. At Expert System, we apply a deep understanding of language to the capture and analysis of news, articles, tweets, blog posts and other user-generated content to provide actionable information on what’s being said about your company, brand and products in any information source. Our cognitive Cogito technology understands the nuances of human language, including tone, vernacular, slang and context of communications, as well as the conventions and context of the platforms where customers and other audiences communicate. Cogito reputation management software empowers insight into what people are saying on social media, discovering the influencers and conversations that matter to help you mitigate negative risks, promote positive opinions and reviews, and supports proactive engagement to grow brand awareness and reputation. 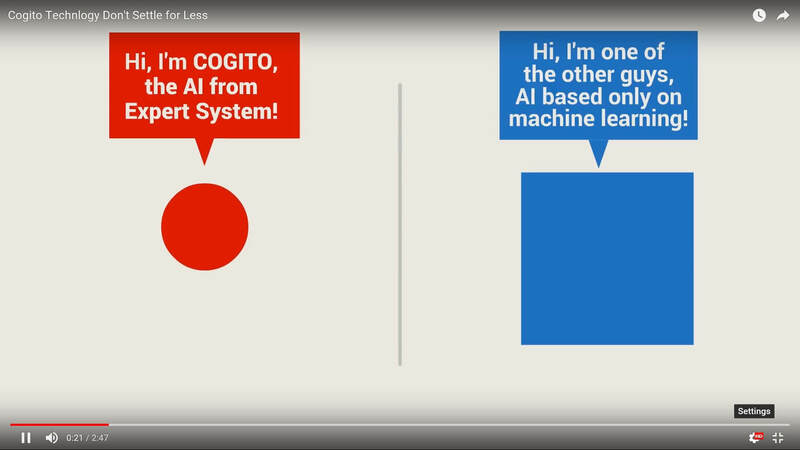 Cogito can work on different sources at the same time, providing 90% analysis accuracy, thanks to the ability to understand human language. Expert System develops solutions in support of your reputation monitoring needs. Cogito includes targeted social analytics features such as Extended Sentiment Analysis, which extracts deep information about negative or positive emotions revealed in content, and about concepts or people, products, brands and any other entity discovered in content. If Reputation Management is only one of the elements you need to monitor to ensure business sustainability and mitigate operational risks, Cogito is the platform designed to monitor information from hundreds of thousands of global sources to alert you about events before they impact your business.